Mortgage Update Los Angeles: Is There Still Time To Buy Residential Income Property? Is There Still Time To Buy Residential Income Property? This is not a great time to be a renter, and things do not seem likely to improve for those who can't afford to buy a house or condo. One of the most under reported results of constraints on mortgage lending has been the resulting shortage in rental units and the upward pressure that shortage has put on the cost to rent. 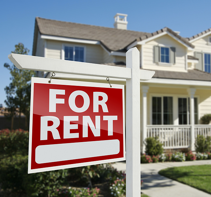 The price of renting is rising and competition is growing for apartments, condos and houses. Rents rose 7.6 percent nationally in the last five years, The Wall Street Journal says. In some cities they’re up 10 percent. Apartment rents (that’s the average rent, excluding perks and freebies) are expected to rise about 16 percent — from $1,049 in 2012 to roughly $1,215 by the end of 2017, Reis Inc. analyst Michael Steinberg tells Money Talks News. “The country has been on a decades-long drought of large-apartment-building construction” because, until recent years, homeownership was growing, writes Slate economic writer Matthew Yglesias. Investors have been buying up foreclosed homes and renting them out, but even that’s not enough to satisfy the demand for rentals. Foreclosures. The share of Americans who rent a home is at a record high, in large part because of the millions of foreclosures that followed the real estate crash. Since 2006, the first year the U.S. saw more than a million foreclosures, an estimated 21.57 million homes have been foreclosed on, according to this chart at StatisticBrain. Recovery. By 2012, 45 percent of 18- to 30-year-olds were living with older family members, says the Atlanta Federal Reserve. Compare that with 39 percent in 1990 and 35 percent in 1980. As the economy recovers, economists expect more workers to find jobs and start entering the competition for rentals. Tighter lending standards. Homeownership has dropped to an all-time low after the crash as lenders grew very fussy about whom they’d offer a mortgage. Homeownership rates in the U.S. fell to 65 percent in June, after climbing to a record high of 69 percent in 2005, according to the Census Bureau (see Table 14). Rising home prices. Lenders are loosening up their standards a little (but not a lot). But just as it started getting easier to finance a home, prices began rising – skyrocketing in some areas. That’s also pushing more people to rent, The Wall Street Journal says. Busted boomers. A growing population of downsizing retirees and empty nesters who’ve lost retirement savings and need to rent is contributing to the demand. Does all of this mean you might want to buy a house, duplex, condo, or even an apartment building to take advantage of the rising rent prices? Are there still residential properties available for sale or sitting in foreclosure that make sense? Maybe so. Just last week another fund was created for the purpose of buying up such properties. While there are already several very large investors buying as many residential homes as they can find at reasonable prices, the super bargains have been scooped up. I think this post really helps to people who are connected with real estate industry!